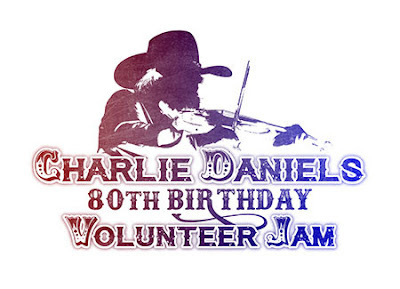 Due to popular demand, with over 10,000 tickets sold to date, the producers of Charlie Daniels 80th Birthday Volunteer Jam have released additional seating at Bridgestone Arena on November 30 so that as many fans and friends as possible can experience this monumental occasion. The jam will feature guests 3 Doors Down, Chris Stapleton, Kid Rock, Larry The Cable Guy, Luke Bryan and Travis Tritt to celebrate with Charlie Daniels. Tickets for the much anticipated event are on sale now at all Ticketmaster locations and the Bridgestone Arena Box Office. Ticket prices start at $25.00.